The sunshade will be opened with the glass panel automatically when the glass panel is slid.You will have to close it manually if you want it closed. 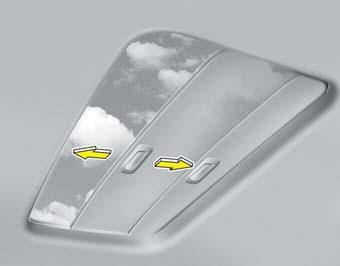 The sunroof is made to slide together with the sunshade. Do not leave the sunshade closed while the sunroof is open.